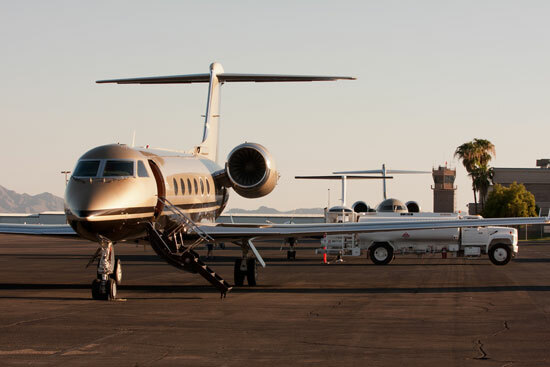 The Glendale Municipal Airport is close to myriad shopping and sports venues, including University of Phoenix Stadium, Gila River Arena, Westgate City Center, and is also minutes from downtown Phoenix. Our location just off the Loop 101 in the West Valley means low congestion and easy access to Interstate 10 and all points around the Valley of the Sun. 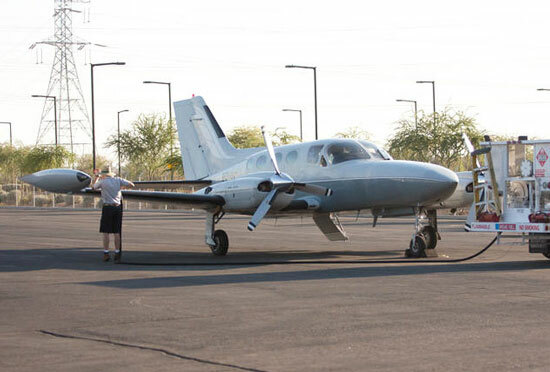 Glendale Aero Services is located on the Glendale Municipal Airport, approximately one mile west of the Loop 101, south of Glendale Avenue. If you are flying in to visit us for business or pleasure (or for any other reason), please let us know and let us know when you will be arriving, so we can provide you with the services you need. Even better, give us a call on our UNICOM at 122.95 when you get close to the airport so we can have everything ready for you. We always have hot coffee and cold tea, ice-cold water and often other goodies for our guests. Please feel free to stop by and chat! Keep in mind that Arizona does not change time for Daylight Savings Time, so we are always at Zulu -7 hours. If needed, we can arrange for before-hours or after-hours staffing. Please contact us with your staffing needs for a quote of fees and rates. Call us on UNICOM 122.95 when you get close to the airport so we can have everything ready for you.